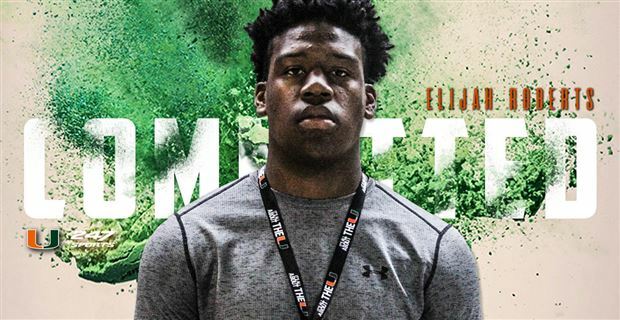 Columbus 2020 three-star defensive lineman Elijah Roberts gave a verbal pledge to the Hurricanes after working out for UM defensive line coach Jess Simpson on Saturday. Roberts, who is ranked by 247Sports as the nation’s No. 18 weak side defensive end next cycle, picked the hometown team over Tennessee, North Carolina and Syracuse. Roberts was first identified by the Hurricanes as a potential target back in January when safeties coach Ephraim Banda swung by Coral Park High – Robert’s school at the time. The athletic lineman picked up an offer from Miami at the program’s Underclassmen Day back in early April before he made his way to Hard Rock Stadium a few weeks later for UM’s annual spring game. Roberts was tabbed by 247Sports’ John Garcia as a top performer at Under Armour All-America Camp earlier this spring after he dominated 1-on-1 drills. Roberts (6-4, 245) becomes commit No. 7 for the Hurricanes in a 2020 recruiting class that currently sits No. 1 in the country on the industry-generated composite well ahead of Oklahoma, Alabama, LSU and Georgia. 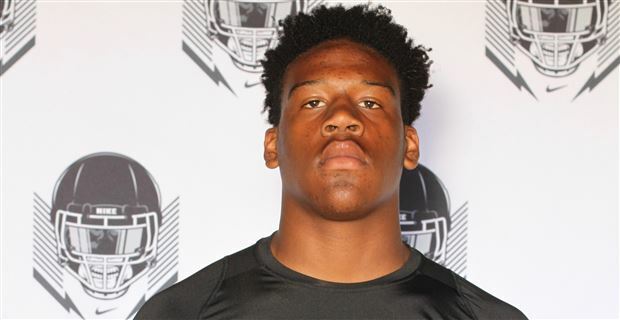 He joins Doral Academy Charter Top247 end Samuel Anaele, Hollywood Chaminade-Madonna Prep Top247 tackle Willie Moise and Bradenton IMG Academy three-star tackle Tre’von Riggins as defensive line pledges for Simpson.